Why to deport Rohingya Muslims? Rohingya's are threat to the country - govt version and experts. Govt and expert believe Rohingya's are connected to pakistani terrorist organisations. Hafiz Saeed, Chief of Lashkar-e-Taiba is also very supportive of Rohingya. Bangladesh is also concerned about the security of their country. Few muslims politicians in India who are in support of Rohingya do not see them as a threat. Rohingya's are threat to demographical balance in India - many experts. Muslims in majority creates lots of trouble. Simply they demands Shariya law. They deny any country law exists and declare modern justice laws as meaningful. They simply ask for Sharia law. My version is that Rohingyas are also deep rooted culturally backwards class. They do not have education. They are culturally backward which can result in many centuries of baggage to our country which already have so many ethnic communities. To educate them and to assimilate them in Indian culture, it will take huge resources. We are not resource rich country. to not allow such deeply backward immigrants. 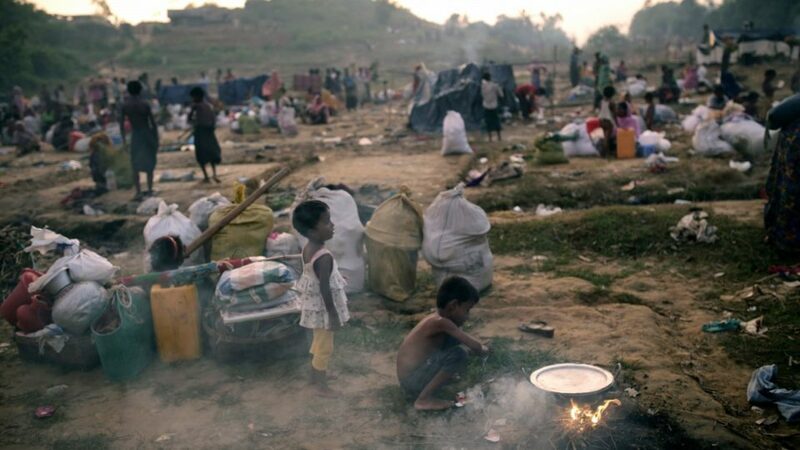 But looking from close distance, most of us feel the pity conditions of Rohingya. At humanitarian level, everyone want Rohingyas' to settle peacefully. They must also have shelter, food and basic facilities to live life peacefully. Solution to increasing immigrant population lies in combined efforts of international community. Easiest would be to help settle the people at their own place. Like Rohingya should be placed properly in Myanmar. International community should provide facilities and services with some money so that they can progress. Progressing would be easier at native place than at other unknown place. Myanmar has a population of 54 million (2009 est. ), of which 90% profess Theravada Buddhism (roughly 48 million), 4% Christianity (1.65 million Baptists and 550,000 Roman Catholics), 4% Islam (2.2 million), 1% Hinduism (550,000), and the remaining 1% consists of Mahayana Buddhism, Vajrayana Buddhism and Animism. So, Myanmar is mostly Buddhist country. 91% of them are Buddhist. They are not accepting extremely poor and backward Muslims. Support from terrorist organisation has made the situation worse.